The women behind Xtreme Powerboats, Jodi Goldman, Fran Rittner and Jilian Goldman pose by Game Changer, a 38-foot Donzi owned by longtime Xtreme clients Charley and Brett Vaccaro. It’s clear nobody is shocked by the way the team at Xtreme Powerboats has rebounded after the unexpected loss of company founder Larry Goldman in May 2017. What is surprising is the way the team—led by Goldman’s wife, Jodi, daughter, Jilian, son, Jacob, and the company’s longtime director of operations, Fran Rittner—has continued to progress and evolve at the same time. The women behind Xtreme Powerboats, Jodi Goldman, Fran Rittner and Jilian Goldman (from left) pose by Game Changer, a 38-foot Donzi owned by longtime Xtreme clients Charley and Brett Vaccaro. It helps that the sales and service center is a major cog in Westrec Marinas’ impressive Haulover Marine Center in Miami. It also helps that the hard-working team is a forward-thinking team and has diversified its business beyond the performance boat market. Not that Xtreme is getting out of the go-fast world—that’s hardly the case as it has quite a few performance boat projects in the works , handles maintenance and more for plenty of go-fast clientele and still is involved in the brokerage of many performance boats. Since Goldman’s passing, Xtreme has taken on a couple of brands in the Marquis-Larson Boat Group line, including Striper fishing boats and Escape pontoon boats. Earlier this year, the company also became a Formula Boats Authorized Service Center and has grown into one of the Decatur, Ind., boatbuilder’s top service centers in the country. The talented team at Xtreme Powerboats is ready to handle any maintenance or project thrown its way. 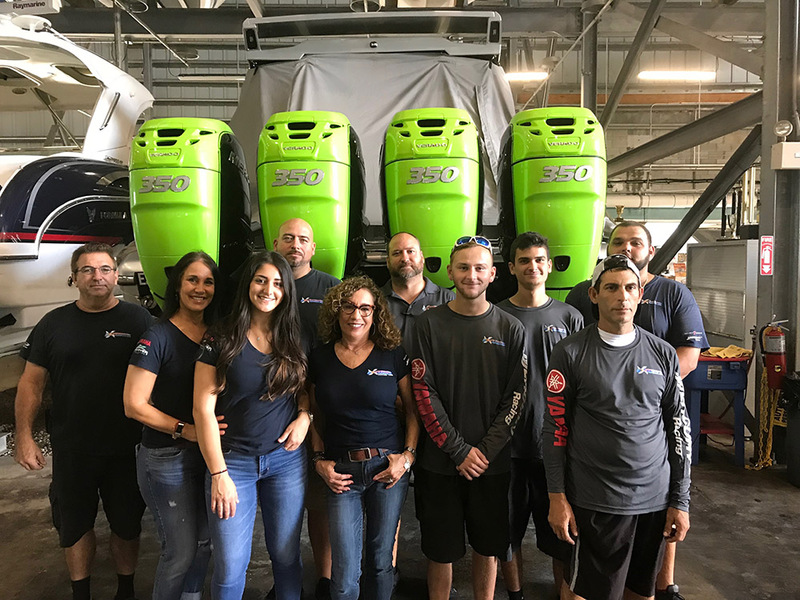 According to Jodi Goldman, Xtreme even has a hand in about 70 percent of Formula’s new boat deliveries in South Florida as the team handles Pre-Delivery Inspections for the family owned and operated boat company. And in June, Xtreme hosted—complete with a support crew for the run—a Formula Owners Run to Bimini that attracted almost 30 boats. She’s expecting twice that amount for the 2019 run that is currently in the planning stages. Now add in the fact that Xtreme is both a Mercury Marine and a Yamaha certified service center, and there aren’t many boats that it can’t work on. 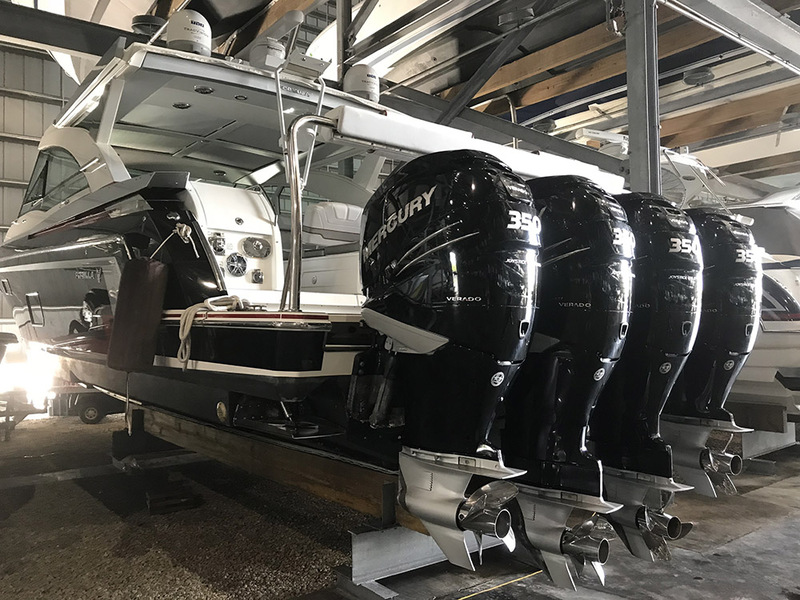 Located at Haulover Marine Center, Xtreme Powerboats is one of the top Formula Boats Authorized Service Centers in the country. “We have not eliminated the high-performance part of our business, we’ve just changed the way we look at boating,” Jilian Goldman said. “We’re trying to accommodate the variety of boats in the area, which includes center consoles, cruisers, walkarounds, bay boats and even pontoon boats. Who would have ever thought we’d see as many pontoons as we do in South Florida now? Jodi Goldman chimed in immediately. Former Powerboat editor Jason Johnson was an integral part of the magazine staff from 2005 through 2011, utilizing journalistic integrity and experience in and around performance boats to report on all aspects of the go-fast lifestyle. The award-winning writer resides in Northern California and is the executive editor and co-publisher of speedonthewater.com.